Indigenous people, also known as Native Americans, have been living with unresolved grief as a result of historical events. According to psychologists and historians, this is Historical Trauma. Maria Yellow Horse Brave Heart, Ph.D. defines it as "cumulative emotional and psychological wounding across generations, including the lifespan, which emanates from massive group trauma." Dr. Brave Heart is Associate Professor of Psychiatry and Behavioral Sciences and Director of Native American and Disparities Research at the University of New Mexico's Division of Community Behavioral Health. Previously, she was on the faculty at Columbia University School of Social Work and was a research team member with the Hispanic Treatment Program of New York State Psychiatric Institute/Columbia University College of Physicians and Surgeons. A psychiatric definition of "trauma" is "an event outside normal human experience." The National Institute of General Medical Sciences (NIGMS) defines psychological trauma as "an emotional or psychological injury, usually resulting from an extremely stressful or life-threatening situation." Trauma generally leaves you feeling powerless, helpless, paralyzed. It tends to be sudden and overwhelming. It "owns" you. You are unable to think clearly during and after a severe trauma. At the same time, you try to focus your consciousness in an attempt to cope with distress. Dr. Brave Heart brings to light the effects of separating Native American families during the "boarding school era" in the 1870s. 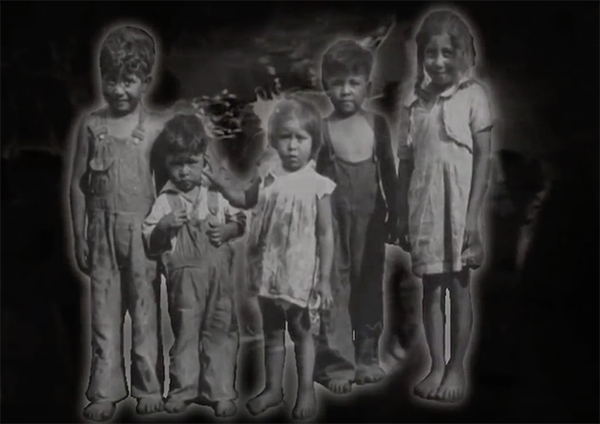 The United States removed Native American children from their homes and they forced them to conform to the culture and practices of the majority population. This is hard to imagine, right? This caused a ripple effect of inter-generational trauma throughout Indian Country. Historical trauma response includes survivor guilt, depression, Post-Traumatic Stress Disorder (PTSD), and physical symptoms. It also includes psychic numbing, anger, suicidal ideation, and fixation on trauma. Trauma continues to pass down to generations of Native Americans who continue to suffer from many issues, including high rates of addictions, domestic violence, and Type 2 Diabetes. Native elders and leaders strive to serve as positive role models to help overcome these issues. At NIH, Institutes focus on many of these concerns as part of our mission to enhance health, lengthen life, and reduce illness and disability. Beyond medical and scientific discoveries to support Native Americans, we need to begin to heal the historical trauma. It will propel the move forward and reclaim traditional cultural protective factors. Sharing stories is a community and social-based strategy for doing this. It is also a traditional Native practice to provide a vehicle for healing and teaching. Storytelling integrates positive identity development with building healthy, long-lasting relationships. It helps restore traditional cultural values into the Native family units.